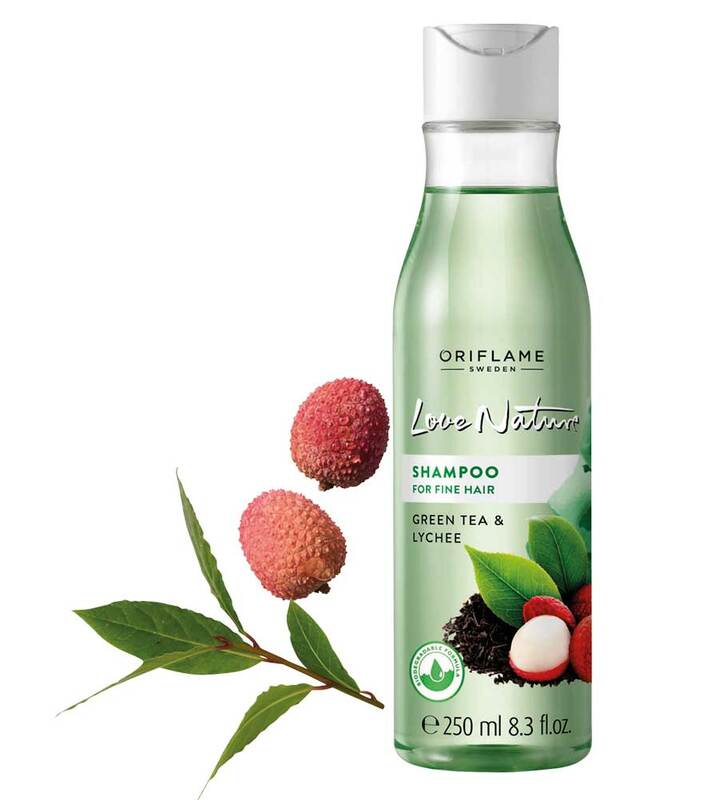 Pamper your hair with the benefits of extracts of natural green tea and lychee. 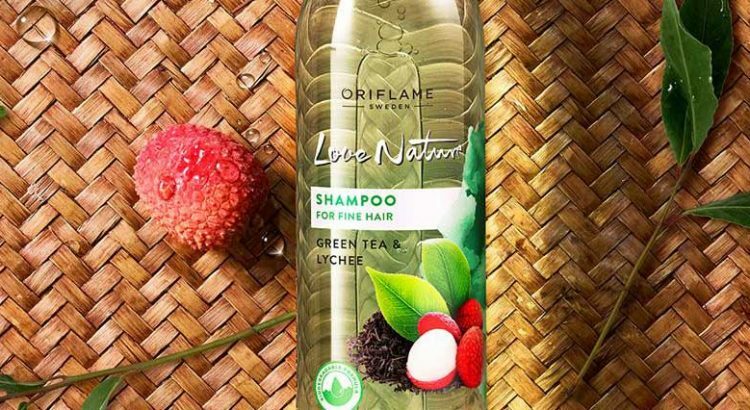 This Oriflame Fine Hair Shampoo contains antioxidants and vitamin-rich ingredients. Ideal for anyone looking for a shampoo that not only makes the hair perfectly clean , but also with a fantastic volume ! Add volume to fine hair thanks to a combination of green tea and natural lychee . Green tea is known to revitalize hair, while the lily provides a moisturizing and soothing action for hair with a fantastic volume. Love Nature is a range chosen by consumers in the category of Sustainable Cosmetics. Love Nature capillaries not only provide a soothing feel, a delightful fragrance and maximum effectiveness, they also do not contain Silicone and are Biodegradable – which means they do not negatively impact the aquatic environment and are best for your hair! From the beginning, in 1967, Oriflame reveals a deep respect for nature in everything it does. In that sense, carefully harvest the finest ingredients from Sweden and around the world to enhance its beauty – naturally! No silicone, biodegradable and dermatologically tested formula. With a pleasant and pleasant aroma. 250 ml.